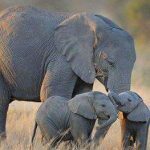 We would like to acknowledge all people behind the hard work and dedication that brings the annual World Elephant Day to the world every year! 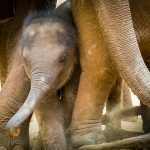 An extraordinary group of talented individuals make up the official World Elephant Day team and bring its annual campaign and outreach into reality. These creative and generous people dedicate countless hours volunteering, and services-in-kind to the diverse tasks that help to make the World Elephant Day campaign and website a global success that reaches millions of people every year, and brings the world together to help elephants. 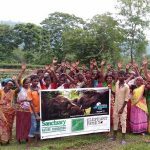 A Huge Elephant Thank You to the Official 2017 World Elephant Day Team! Youth For Wildlife Conservation (Y4WC) steering committee Connel Bradwell and Cecile Tang, and other Y4WC members from around the world who shared their messages about the importance to Be Elephant Ethical. And to all our wonderful ASSOCIATES who are tirelessly dedicated to making the world a better, safer place for elephants!